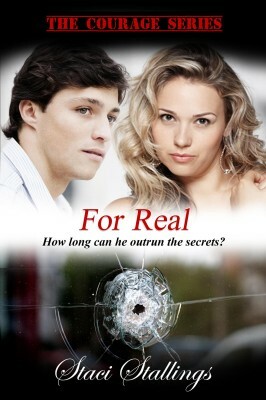 For Real is the third and final novel in the Courage Series. Staci Stallings finishes the series with a wonderful, thought provoking story that I could not put down till finished. With most novels, when I reach “The End,” I usually move on to the next book. However, with For Real, as with other Stallings’ novels, I will take a day or two (or more) to just digest it and just weigh the characters thoughts, feelings, emotions and revolations with my own life. Melody and Blaine are characters first introduced in White Knight, the second novel in Staci’s Courage Series. I found myself pulling for them while reading White Knight. 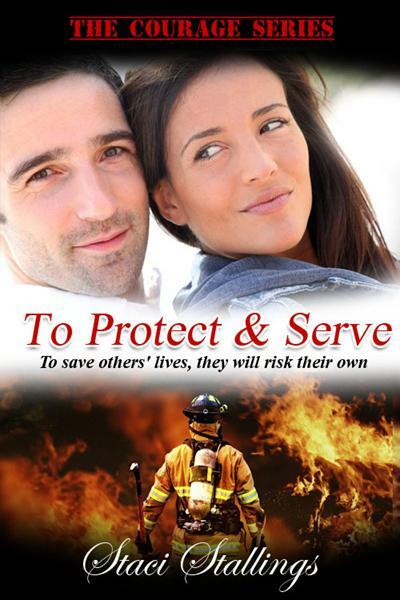 I was thrilled she continued their story, along with Jeff and Lisa’s from Protect and Serve and AJ and Eve’s from White Knight in the third and final book. Staci creates characters and situations so true to life which I find rare in most romance novels. Melody and Blaine each find themselves struggling to deal with every day life. Melody struggles with the feelings of loneliness when her best friend AJ gets married. She struggles with her weight, finding the right college and career path, and with the desire to marry and have a family. Blaine struggles with the demands of college, working and with protecting a younger brother from an addictive mother and ex-stepfather. Both find themselves facing real hardships no matter which way they turn with no escape. As the weight of this stress starts to get them down, they are challenged to give God their burdens. Staci weaves such great truths in the lives of these characters that every reader can walk away with understandings for their own lives. The image that Staci created when explaining how God loves us no matter what ugly surroundings we live in brought tears to my eyes. Most novels end with the confession of love or the typical “I Do’s.” I love how Staci takes it a step further and shows how Melody and Blaine plan to work as a team and face these struggles and challenges with God at their side. For Real is one book you will want to read over and over. I am truly sorry to see this series end but can’t wait to see what is next. You won’t want to miss the Courage Series and For Real!